Yonsei | Born 1966, Toronto, Ont. Suzanne Hartmann began her trek through the wilds of media in live television at Citytv and later at CBC, before journeying to print, web and digital. As a freelance writer, her articles have appeared in consumer publications such as Style at Home, Canadian Living and The Toronto Star. Currently, she is a key staff member at Vitality magazine, and in her spare time runs her blog www.OldSageHands.ca. 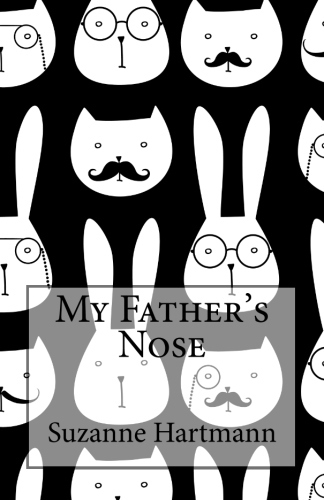 She recently released her first children’s book, My Father’s Nose. Some highlights of her involvement in the JC Community include: Newsletter editor at the Toronto Japanese Canadian Cultural Centre from 1987 to 1993; co-editor/print production for their Salute to 25 Years memorial booklet in 1988. English Print Production of Ayumi, the 40th anniversary booklet for Toronto Japanese Language School in 1990. Managing Editor of Nikkei Voice, first in 1989 and later from 2001-2004. Administrator of Japanese Social Services from 2001 to 2003, where she established the ongoing annual Holiday Drive program.